"This is home now." That was several thousand miles ago, but my husband&apos;s words and that first day aboard Heron, our 1981 Grand Banks Classic 42-foot trawler, are still fresh in my mind. Our journey had begun long before that day-with a plan. In some ways, it felt like we had been planning for this day all our lives. Planning was something we had done in our professional lives, so it came naturally when we set out to become trawler owners. Ray had been in manufacturing-a production manager-and I had been a high school teacher and a scheduler in a dental office. Ray grew up boating on the lower Chesapeake Bay, and I took to it as an adult. Our boating experience grew, and our boats changed over the years, from a Sunfish to a 17-foot Boston Whaler to a Pearson 34-foot sailboat. We became ASA instructors (CONI) and U.S. Coast Guard masters. Ray is licensed for 100 tons, I for 50. Ray has even worked on tugboats, both in the harbor and along the East Coast. Three years ago, retired, without children and no longer having parents to care for, we felt free to pursue a dream of sharing greater amounts of time together on the water. And so the Five-Year Plan was conceived. Over the next five years (give or take a year or two), we would spend summers at our small home in Virginia and winters in relative comfort aboard our trawler. Our first step was to sell Kahlua, the Pearson we had owned, loved and cruised the Chesapeake in for 10 years. My logic told me we couldn&apos;t own two boats at the same time, but it was hard to convince my heart when I watched the new owner sail off in my boat. Over the next year-yes, a whole year without a boat-we looked and learned, read, searched the Internet, bought books, studied articles, questioned boat owners. And we attended seminars, where we were entertained with tales of diesel engines and inspired by the resourcefulness of cruisers. We met interesting and knowledgeable fellow boaters. Now we just needed to find a boat. With renewed enthusiasm, we made lists of features we wanted, needed, liked or had to have. A Grand Banks Classic 42 was our choice. Then we had only to find one. Easy, right?! The long boatless weeks became months, and fall turned to winter. The list of boats for sale shrank as other eager-to-be-Grand-Banks-owners snapped them up. Then we found the perfect one, put down a large deposit and made a reasonable offer (we thought) but were rejected. Unable to pay a greater price, we returned to our search. We uncovered another perfect boat, this one in Florida, but had our hopes dashed again after a less-than-satisfactory survey. Walking away from a second boat-especially after large investments of time and trouble and the sizable expenses of the survey and trips back and forth to Florida- was difficult. But there was a glimmer of hope. Ray had uncovered a "backup" boat during the previous negotiations. Although he was ready to call a halt to the whole search, and we considered scrapping the plan, we decided to give one last try to this boat. Finally, we met with success. We had our trawler and a closing date of March 15, almost a year to the day after selling our sailboat. Now it was time for another kind of planning. Time to put the Five-Year Plan into action. To make our vision a reality, we had to cope with lots of down-to-earth details. What about the mail? The cars? The bills? Should we get a laptop? A cell phone? First, the bills. We decided against paying bills online. This eliminated the cost of a laptop and the complications of a modem. Instead, we converted all that we could to an auto-debit system of payment. Any others would be paid the usual way. Next, the cell phone. We chose a plan that would allow us to call, without roaming charges, to and from anywhere on the East Coast. Limiting our calling area and minutes helped reduce the cost. What to do with the mail? Eventually we settled on a personal mailbox with Mailboxes, Etc. (now UPS Store). Neighbors would cut our grass and keep an eye on our house. One car would be with us in Florida, the other in the garage with the battery disconnected. Then came decisions about cruising. Some of those had been predetermined when we purchased a coastal cruiser rather than an ocean-going vessel. Cruising from one port to another throughout the winter months was appealing, but staying in marinas at a daily rate would be too expensive. And riding out winter storms at anchor or traveling in them would be uncomfortable. 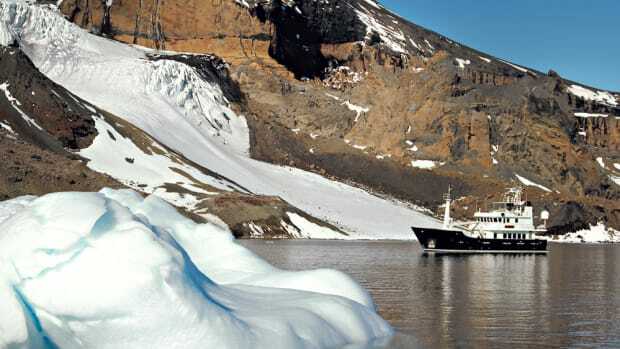 The logical choice was a liveaboard marina with a monthly rate. 2. Affordability. Some locations have great appeal but are completely out of reach of our budget. We try to aim for under $500 per month. 3. A warm climate. This doesn&apos;t have to be tropical, just comfortable. 4. "Wiggle Room." This is Ray&apos;s term for nice cruising water. We like to feel the wind in our faces and smell the salt air occasionally. Having enough water under the keel so we&apos;re not kicking up mud is a bonus. 5. Things to do and see. Beaches, parks, trails, museums, shops nearby. Even other cities we can visit all in a day. It&apos;s nice to have diversions when we&apos;re not working on the boat. 6. Potential. The potential to be a place we want to live permanently, post-cruising. Before we make our final selection, I gather all the information I can about the location. Websites, Chambers of Commerce, visitors&apos; brochures, state tourism publications, marina managers, dockmasters, yacht brokers and other boaters are all helpful sources. Our first location was a given. We had permission to stay at the brokerage dock in Vero Beach, where we would take possession of our boat. Affordable, warm, beautiful, upscale-perfect! With many decisions behind us, we turned our attention to packing for our move aboard. Our approach was minimalist. Ray analyzed his collection of tools, carefully choosing which would come along, which would be left behind. I did the same with clothes, linens and kitchenware. Not wanting to take up space even for a cookbook or two, I copied boater-friendly recipes (easy to prepare, quick, few ingredients) onto index cards. Even so, with everything reduced to basics, every square inch of the car was filled. Rest, lunch and overnight stops required precision extractions to avoid disturbing our load. Once in Vero Beach, we shared a lunch on a park bench near the dock where we would be living aboard for the next three months. That&apos;s when Ray turned to me and said, "This is home now." We&apos;ve had three other "homes" since then-Hilton Head, South Carolina; Jacksonville, Florida; and Ft.Myers, Florida. Prior to choosing each, we tried as much as possible to match our criteria with locations and were pleased on almost all counts. Surprisingly, we found a marina in Hilton Head that was more affordable than most throughout Florida. Fortunately, the winter we spent there was warmer than usual. In contrast, the winter we spent in Jacksonville was colder than normal. It has been our habit to visit the Chamber of Commerce soon after we arrive in a new place. We gather more brochures, maps and a telephone book. Then we make two "to-do" lists: one of boat projects/cosmetic upkeep, the other of nearby places to go and things to see and do over the winter months. We have savored each locale&apos;s natural beauty, hiking through nature preserves, in landscaped parks and along pristine beaches, sometimes without seeing another soul for hours. We have also been surrounded by thousands of Jaguar and Steeler fans at our first NFL game, and by hundreds of horse lovers at an Olympic level equestrian jumping competition. We have sampled art and cultural offerings at museums, art shows and theatrical performances. We have relished the unique flavor and history of each region, touring lovely Southern towns-Beaufort, South Carolina; Charleston; Savannah; St. Augustine-plus a citrus grove, a plantation, a Civil War era fort and an ocean-going tug at a huge maritime facility. It has been our good fortune to encounter attractive, comfortable marinas with helpful, professional staff. It has been our delight to meet locals who are friendly and fellow boaters who rarely remain strangers. And with this, each new destination–Vero Beach, Hilton Head, Jacksonville- really has begun to feel like home. We began our search for this past winter&apos;s home not long after we returned to Virginia from Jacksonville. This fall we headed for Florida&apos;s Gulf Coast, and all winter, we called Ft.Myers home. 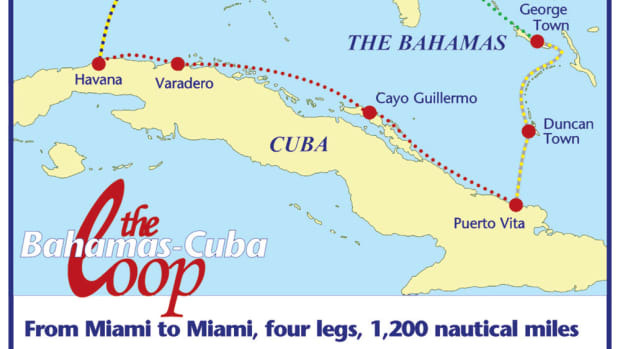 After three years and more than 7,700 miles of cruising-as far south as Stuart, Florida; as far north as Philadelphia; as far west as the Gulf of Mexico; and to lots of points in between-our strategy seems to be working for us. All it took was a plan to capture priceless memories and to make the dream we had envisioned a reality.